Lord Hannay entered the Foreign Office in 1959, with initial postings in Tehran and Kabul. From 1965 until the early-1970s, he was an official representative of the government in discussions that led to the UK’s 1973 entry into the EEC. In the Foreign and Commonwealth Office, he served as the Head of the Middle East Department in 1979 and Assistant Under-Secretary of State for the European Community between 1979 and 1984. Later, he was a Minister at the British Embassy in Washington DC (1984-5), Ambassador and Permanent Representative to the European Economic Community (1985-1990), and Ambassador and Permanent Representative to the United Nations, as also the UK’s representative on the UN Security Council (1990-1995). He then served as the UK’s Special Representative for Cyprus between 1996 and 2003, the Prime Minister’s Personal Envoy to Turkey in 1998, and a member of the UN Secretary-General’s High Level Panel on Threats, Challenges and Change in 2003-2004. Following his admission to the House of Lords in 2001, he has been a member of the Arctic Committee, the Intergovernmental Organisations Committee, and the European Union Committee; and he is currently the Vice-Chairman of the All Party Parliamentary Group on the EU, Joint Convenor of the All Party Parliamentary Group on Global Security and Non-Proliferation, and Chairman of the UN All Party Parliamentary Group. He is currently a member of the Top Level Group on Multilateral Nuclear Disarmament and Non-Proliferation. He is also a former Chairman of the Board of UNA-UK, a former member of the Council of Britain in Europe, and a former member of the TANGGUH Independent Advisory Panel. Jeremy Lefroy MP has been the Member of Parliament for Stafford (UK) since 2010, representing the Conservative Party. 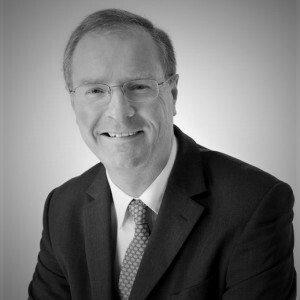 He previously served as Councillor and Cabinet Member for Resources in the Newcastle-under-Lyme Council. He is a member of the All Party Parliamentary Groups on Africa, Energy Studies, Food Security in the Developing World, Fuel Poverty, Global Security and Non-Proliferation, Great Lakes Region of Africa, Guinea-Bissau, Human Rights, Human Trafficking, Interfaith, Overseas Development, Penal Reform, Prevention of Genocide and Crimes against Humanity, Tanzania, Trinidad and Tobago, and Zambia, as well as the Britain-Palestine, British-American and British Swiss Parliamentary Groups. He is also a member of the International Development Select Committee and has served on the Health and Social Care Bill Committee. Meg Munn MP has been the Member of Parliament for Sheffield Heeley in the UK Parliament since 2001, when she stood as a Labour Co-operative candidate. Following her election to Parliament, she served on the Education and Skills Select Committee and the Procedure Select Committee. Later, she served as Parliamentary Private Secretary at the Department for Education and Skills (2003-2005) and Minister for Women and Equality (2005-2007). She introduced civil partnerships into the UK in 2005, was responsible for the Equality Act 2006, was involved in the Work and Families Act 2006 and established the Equality and Human Rights Commission (EHRC). 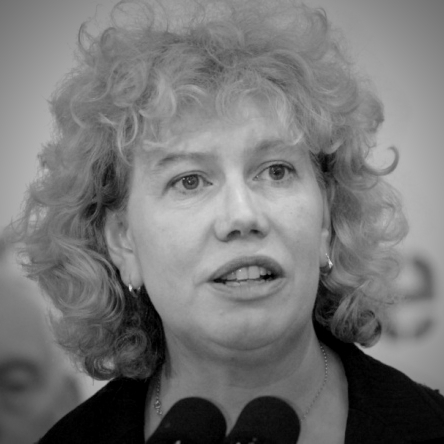 In 2007, she was appointed Parliamentary Under-Secretary for Foreign Affairs in the Foreign and Commonwealth Office, with responsibility for the Overseas Territories, South East Asia, Australia, New Zealand, and the Caribbean and Central America. After standing down from government in 2008, Munn served as Chair and Vice-Chair of the Westminster Foundation for Democracy. She focused on the Middle East and North Africa, leading workshops and mentoring MPs in Egypt, Iraq Kurdistan, Morocco and Jordan. In Parliament, she is Chair of the All-Party Parliamentary Group (APPG) on the Kurdistan Region of Iraq, the Child Protection APPG which she established, and the Methodist APPG. She is also Vice-Chair of the Women in Enterprise APPG, the Engineering and Information Technology APPG, the Yorkshire and North Lincolnshire APPG, and the Mexican APPG. She has also served as Chair of the Women’s Committee of the Parliamentary Labour Party, Chair of the Parliamentary Co-operative Group, Vice-Chair of Labour Friends of Israel, Vice-Chair of Progress and Chair of the All-Party Parliamentary Voice group. 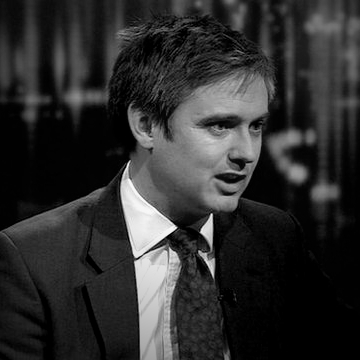 John Woodcock MP has been the Member of Parliament for Barrow and Furness in Cumbria (UK) since 2010, when he stood as a British Labour Co-operative candidate. Between October 2010 and January 2013, he served as Shadow Minister for Transport; and since 2013, he has been a Member of the Defence Select Committee and a Member of the Public Bill Committee for the Defence Reform Act 2014. Between July 2011 and January 2013, he served as Chair of Labour Friends of Israel, and he is currently Chair of the Labour campaigning organisation Progress, the Vice-Chair of the All-Party Parliamentary Group on Friends of Syria and a Commissioner of the All-Party Parliamentary Commission on Physical Activity. Previously, John served as a journalist at The Scotsman before serving as Special Adviser to Cabinet Minister, John Hutton MP, and the former Prime Minister, Gordon Brown. Ferdinand von Habsburg-Lothringen is a political and security advisor in the area of peace-building and conflict transformation, with almost 20 years of practical field- and country-office experience in transitional, conflict and post-conflict relief and recovery environments in Sub-Saharan Africa and Asia. 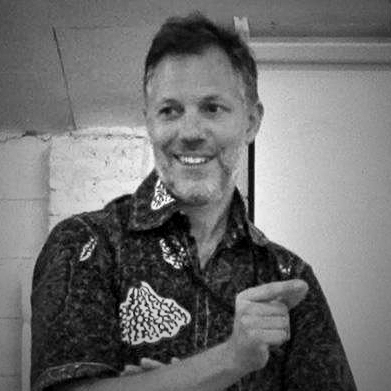 He has been an advisor, facilitator and trainer to a wide range of actors, from grassroots audiences to heads of government and senior UN and NGO management, and has served as a humanitarian field coordinator and a project coordinator to faith-based bodies in some of the hardest hit zones in Sudan during the second civil war. In recent years, he has served as Advisor to the Committee for National Healing, Peace and Reconciliation in South Sudan; an informal advisor to the Vice President of South Sudan and the Steering Committee guiding the ‘Road Map to Reconciliation and Good Governance in South Sudan’; and as Consultant to UNICEF South Sudan, in which capacity he designed UNICEF and the Ministry of General Education’s ‘Peace-building and life skills programme’. Prior to that, Ferdinand served as Strategic Planning Advisor for UNDP to the Sudan Council of Churches peace and reconciliation process in Jonglei State and the Presidential Committee for Peace, Reconciliation and Tolerance in Jonglei State (2011–2012); as Advisor on Social Cohesion and Governance at the UN Resident Coordinator’s Office in Maldives (2009–2011); and in various administrative and advisory capacities at UNDP in Southern Sudan from 2003 to 2009. He speaks a handful of languages including 3 European ones and 2 African ones, is married and is based in Nairobi with his family. 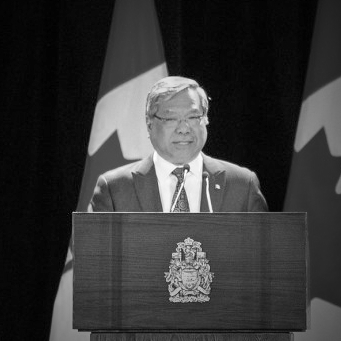 The Hon Senator Thanh Hai Ngo was appointed to the Senate of Canada in September 2012 by the Rt Hon Governor General David Johnston on the advice of the Rt Hon Prime Minister Stephen Harper. Senator Ngo is a member of the Conservative Party caucus and is the first person of Vietnamese origin to sit in the Senate of Canada. He is an active member of several standing Senate committees: Human Rights; Banking, Trade and Commerce; and Aboriginal Peoples. Over his distinguished career, he served as diplomat, teacher, Citizenship Judge and Chairperson of the Employment Insurance Board of Referees. From 1971 to 1973, he was Bureau Chief of the Press and Information Office, and spokesperson for the Department of Foreign Affairs in Saigon. He subsequently served for two years as Press Attaché and Political Bureau Chief at the Embassy of the Republic of Vietnam in Bangkok, Thailand. In his role as diplomatic attaché, he was also a representative to the United Nations Economic and Social Commission for Asia and the Pacific (ENAP). Senator Ngo immigrated to Canada in 1975, following the fall of Saigon and the rise of the Vietnamese Communist government. Since then, he has been an advocate for freedom, democracy, human rights and the rule of law, and a champion in the fight against Communist oppression. He is the founder and former Chairperson of the Ottawa Vietnamese Non-Profit Residence Corporation, the co-founder of the International Committee for a Free Vietnam and a former President of the Vietnamese Community Association of Ottawa. The Hon Dr Ursula Stephens served a 12-year term in the Australian Senate (ending 30 June 2014) as Senator for New South Wales. 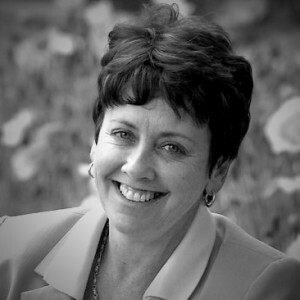 During this time, she led the development of policy and programs to reform the Third Sector in Australia, including the regulatory environment, which led to the establishment of the Australian Charities and Not-for-profits Commission (ACNC). From 2007 to 2010, she served as a member of the Executive Council, as Parliamentary Secretary to the Prime Minister, and Parliamentary Secretary for Social Inclusion and the Voluntary Sector. She was appointed special advisor to the Treasurer for the Definition of Charities Bill Inquiry in 2012-13. During her parliamentary career, Dr. Stephens was a member of several key Standing Committees, including the Joint Committee on Intelligence and Security, the Joint Standing Committee on Foreign Affairs, Defence and Trade, and the Joint Committee on Human Rights. She served as Chair of the Senate Foreign Affairs, Defence and Trade Committee; the Senate Economics Committee; and the Regulations and Ordinance Committee; as well as Deputy Chair of the Joint Foreign Affairs, Defence and Trade Foreign Affairs and Aid Sub-Committee. Dr. Stephens represented Australia as the permanent delegate to the Inter-Parliamentary Union from 2010 to 2014 and led numerous parliamentary delegations overseas. She is an advisor to the United Nations Development Programme on its project addressing the role of the private sector in the alleviation of poverty, a Director of the School for Social Entrepreneurs (SSE) Australia, a Director of Life Education (NSW), and an ambassador for and patron of a number of Australian philanthropic organisations and charities. 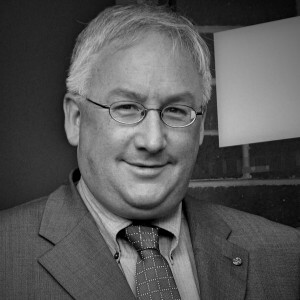 The Hon Michael Danby MP is the federal Member of Parliament for Melbourne Ports in the Australian House of Representatives, representing the Australian Labor Party (ALP). He is a 6-term member, having been elected in 1998 and re-elected in 2001, 2004, 2007, 2010 and 2013. Since his election, his main areas of interest have been foreign affairs, defence and national security, immigration, electoral matters, human rights and the environment. He is currently the Shadow Parliamentary Secretary to the Leader of the Opposition, Shadow Parliamentary Secretary for the Arts, Deputy Chair of the House Standing Committee on Procedure and a member of the Joint Standing Committee on Foreign Affairs, Defence and Trade. Michael is also a Member of the ALP Caucus Social Policy Committee, and Secretary of the ALP Caucus National Security and Trade Committee. From 2008 to 2010, he was Chair of the Joint Standing Committee on Migration; and from 2011 to 2013, he was Chair of the Joint Standing Committee on Foreign Affairs, Defence and Trade. From 2008 to 2013, he was Chair of the Parliamentary Friendship Group for the United States, and he is a Co-Chair of the Parliamentary Group for Tibet. He has also been a secretary of the Australia–Israel Parliamentary Friendship Group and a Chair of the Australia–Poland Parliamentary Friendship Group. He served as Opposition Whip from 2001 to 2007 and as Parliamentary Secretary for the Arts from March 2013 until September 2013. Luke Simpkins MP is the Federal Member of Parliament for Cowan in the Australian House of Representatives, representing the Liberal Party. He is in his third term, having been elected in 2007, 2010 and 2013. A former Major in the Australian Regular Army, he also served in the Australian Federal Police and represented Australia in in the sport of rowing. Since his election he has pursued his interests in foreign affairs, national security, immigration, human rights and the freedoms of speech, association and religion.He is the Chairman of the Human Rights Sub-Committee for the Joint Committee for Foreign Affairs, Defence and Trade. He is also the Chairman of the Joint Committee for the National Capital & External Territories. He is now the Chair of the Parliamentary Friendship Groups for Australia with the Netherlands, with the Republic of Macedonia and with Poland. 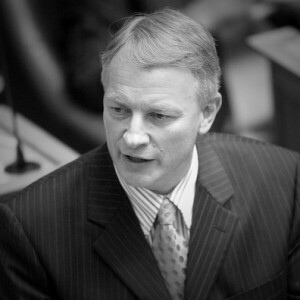 The Hon Phil Goff MP is the Member of Parliament for Mt Roskill in the New Zealand Parliament, representing the New Zealand Labour Party. Between 2008 and 2011, he served as Leader of the Opposition, Leader of the Labour Party and Spokesperson for the Security Intelligence Service. Since the 1981 elections when he was first elected to Parliament, Mr. Goff has held numerous ministerial portfolios. Between 1999 and 2008, under Prime Minister Helen Clark, he served as Minister of Foreign Affairs and Trade (1999-2005), Minister of Justice (1999-2005), Minister for the Law Commission (1999-2007), Minister for Pacific Island Affairs (2003-2007), Minister of Defence (2005-2008) and Minister for Disarmament and Arms Control (2005-2008). He also held ministerial portfolios for Trade Negotiations (2005-2007), Finance (2005-2008) and Corrections (2007-2008). Prior to that, between 1987 and 1989, under Prime Minister David Lange, he served as Minister of Employment, Minister of Tourism, Minister of Education, Minister of Youth Affairs and Minister in Charge of the Education Review and Audit Agency. Between 1984 and 1987, under Prime Minister Lange, he served as Minister in Charge of the Government Life Insurance Corporation, the Public Trust Office and the State Insurance Office, as well as Minister for Housing and Minister for the Environment. Currently, Mr. Goff serves as member of the Foreign Affairs, Defence and Trade Committee; member of the Law and Order Committee; Spokesperson for Ethnic Affairs, Defence, Trade, and Veterans’ Affairs; and Associate Spokesperson for Foreign Affairs. Over his career, he has also served as a Lecturer at Auckland University and Senior Lecturer at Auckland Institute of Technology. 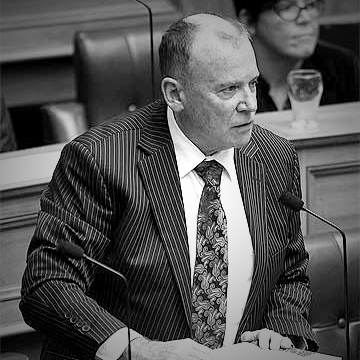 John Hayes ONZM MP is the Member of Parliament for Wairarapa in the New Zealand Parliament, representing the New Zealand National Party. Hayes initially worked as an agricultural economist, before joining the New Zealand Ministry of Foreign Affairs and Trade. 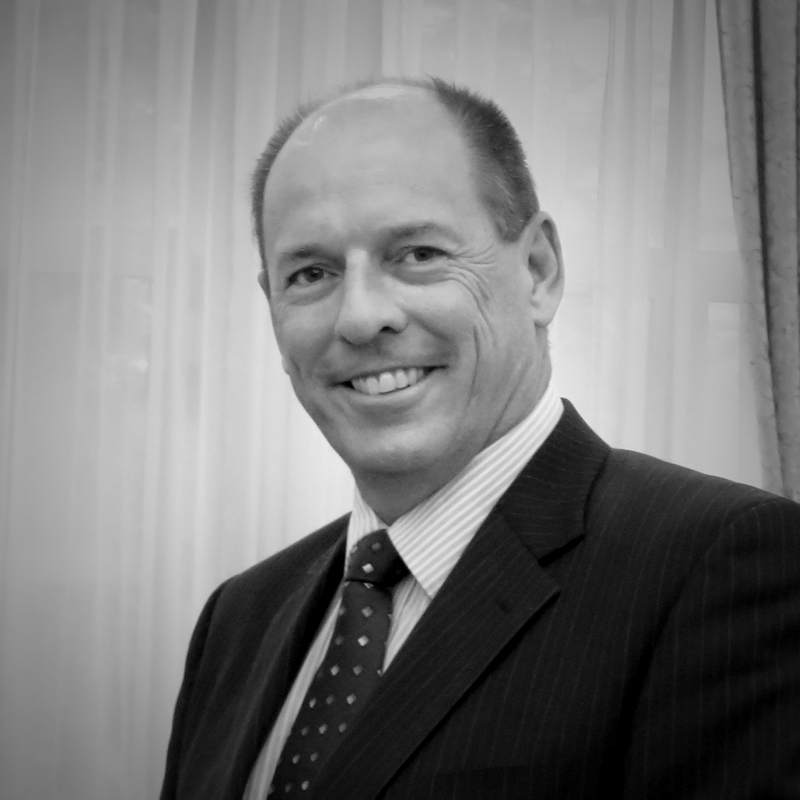 Within the New Zealand Foreign Service, he served as Representative to Singapore, India, Saudi Arabia and Bahrain. He then served as New Zealand’s High Commissioner to Papua New Guinea (1989-1993) and Ambassador to Iran (1993-1995). He also served as Principal Private Secretary to the Minister of Overseas Trade, Mike Moore. 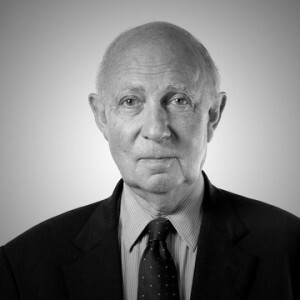 As High Commissioner to Papua New Guinea, Hayes played an active role alongside Don McKinnon, the former New Zealand Minister of Foreign Affairs and Trade, during the Bougainville conflict in the 1990s. He was involved in negotiations for setting up peace-talks by visiting leaders of the Bougainville Revolutionary Army (BRA) and of its affiliate the Bougainville Interim Government (BIG). He was appointed an Officer of the New Zealand Order of Merit in recognition of his services to the Bougainville peace process.Within Parliament, Hayes currently serves as Parliamentary Private Secretary for Foreign Affairs, reporting to the Minister of Foreign Affairs, Murray McCully. He also serves as Chairperson of the Foreign Affairs, Defence and Trade Committee and a member of the Finance and Expenditure Committee. Formerly, he served as a member of the Government Administration Committee and the Foreign Affairs, Defence and Trade Committee (where he also served as Chairperson).Outside of Parliament, Hayes is a trustee of the We The Peoples Foundation and the Bridget Nicholls Trust. Denis O’Rourke MP has been a list Member of Parliament in the House of Representatives of New Zealand since 2011, representing New Zealand First. He is currently a member of the Standing Orders Committee and Justice and Electoral Committee, and is the Spokesperson for Justice, Attorney General, Constitutional Review, Transport, Housing, State Services, Civil Defence and Emergency Services, and Christchurch Earthquake Issues. He is also the Associate Spokesperson for Climate Change, Economic Development and Local Government. Formerly, he had been a Christchurch City Councillor for 15 years and had chaired the council’s Sustainable Transport and Utilities Committee, while also being a member of the Strategy and Finance Committee and many other council committees. 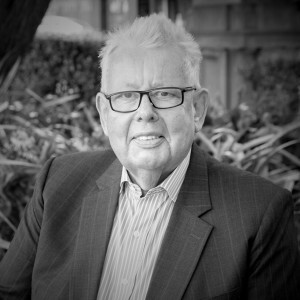 Mr. O’Rourke has also had a distinguished career as a barrister and solicitor, and served as a member of the Legal Aid Review Panel and on the boards of the Christchurch Transport Establishment Board, Board of Christchurch Transport Limited (now Redbus Ltd), Disputes Tribunal in Christchurch, Works Operations Establishment Board, Post Office Bank Limited Establishment Board, Postbank Limited, and Christchurch International Airport Limited. He also served as Chairman of the Recovered Materials Foundation, Meta NZ Limited and Transwaste Canterbury Limited. He is currently chairman of the Central Plains Water Trust, establishing a large community irrigation scheme in Canterbury. Mr. O’Rourke has a strong interest in constitutional issues and in human rights issues. Air Vice Marshal Kapil Kak AVSM VSM served in the Indian Air Force for over three decades. He commanded an Operational Air Force Wing; and served as Directing Staff, and later Chief Instructor (Air), at the Defence Services Staff College, Wellington; India’s Defence Attaché to Thailand; and Air Advisor to two successive Chiefs of the Indian Air Force. For distinguished service of exceptional order, the President of India awarded him the Ati Vishist Seva Medal and the Vishist Seva Medal. 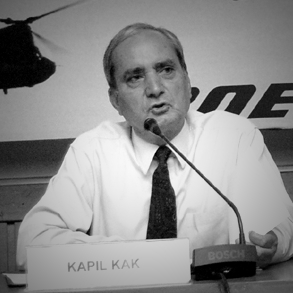 In recent years, Air Marshal Kapil Kak has authored around 50 book chapters and journal articles on a variety of strategic, national security, defence and air power issues, and edited the books India and Pakistan: Pathways Ahead (2007) and Comprehensive Security for an Emerging India (2010). He is a former Deputy Director at the Institute for Defence Studies and Analyses in New Delhi; Advisor (Strategic Studies) at the University of Jammu; and the Founder and Additional Director (2002-2012) of the Centre for Air Power Studies, New Delhi. He has represented India at a number of Track II conferences on international security and defence issues, and continues to be closely associated with the initiatives of many public policy think tanks on the India-Pakistan peace process and conflict resolution in Jammu and Kashmir. He is the Convener of the Indian delegation for the RAND Corporation-sponsored India-US Track II Biannual Dialogue on International Security and Air Power issues. He is also on the Board of Trustees of the Kashmir-based Centre for Peace and Development Initiatives and on the Board of Directors of the New Delhi-based Healing Minds Foundation.